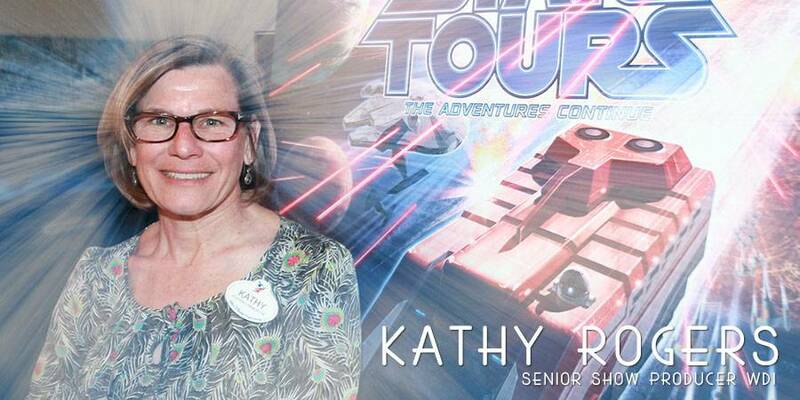 Being the Senior Show Producer, Kathy Rogers is no stranger to activity at the Disney Parks, but she wasn’t all that far away back in the day either, having worked as a Cast Member at the original Disneyland Park before embarking on a career at Walt Disney Imagineering. Kathy not only helped produce both Star Tours: The Adventures Continue stateside, she also oversaw the update in Tokyo Disneyland that opened earlier this Summer. We had a chance to talk to Kathy at length about bringing Star Tours to the Japanese audience and what things differed from the California and Florida experiences. Kathy: Senior Show Producer for Walt Disney Imagineering and I actually started down at Disneyland a few years ago… in the parking lot! I spent my first ten years with Disney as a Cast Member and had the opportunity in 1993 to come up and work on the new Fantasyland project in the early 80s as a Project Coordinator. I was on loan to WDI from Disneyland for a one year assignment and had the opportunity to be hired by WED Enterprises at the time … so I will have 41 years (in June) with Disney. I had the opportunity to do a lot of creative things and I’m still having fun. EE: Congratulations! It’s really amazing to go from a Parking Cast Member into something this creative. Were you in school at the time? EE: You’ve obviously worked on so many great things while at WDI… can you tell us a bit about your role in Star Tours? Kathy: I was actually the Show Producer on all three Star Tours so far! 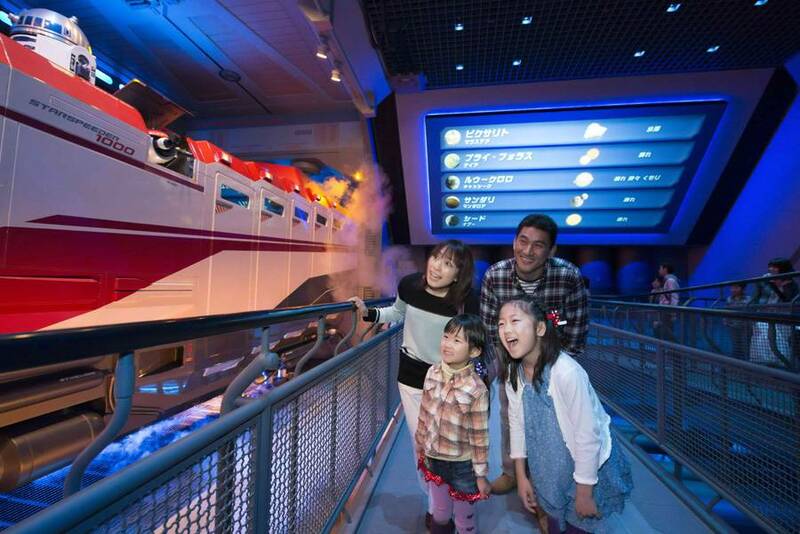 We installed Disneyland’s and Disney’s Hollywood Studios’ Star Tours very close together and then had the opportunity to take the show to Tokyo. EE: Working on all three, is there a conscious decision to make them more unique from each other if at all? Kathy: The story for Star Tours- The Adventures Continue is so good and when it was created, it was like one of those really happy moments where everything comes together. 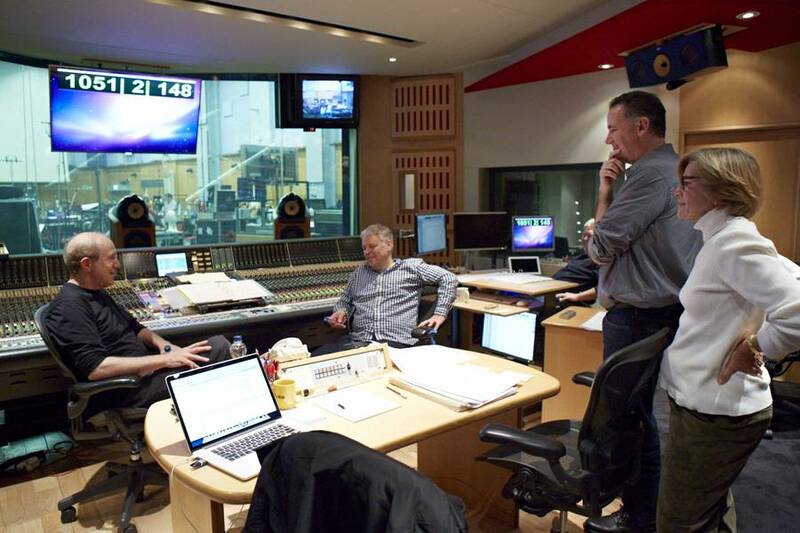 We had the best technology available to us, the six stories of Star Wars films, the environments we could create… and they all came together into this seamless experience. We worked hard to make it repeatable since there are over fifty combinations. We worked hard to make sure that the stories in the queue lines were long enough so that you never felt like you were seeing the same story over and over again. So repeatability and immersing our guests into the Star Wars experience was our goal on all three of the Star Tours. EE: And you’re so right, because being such a Star Wars fan myself, I had a hard time believing that you guys could top the original experience… and while I still love the original Star Tours, you’ve made the new experience really, really fun. EE: It really is! Now do you have a favorite Star Wars film? Kathy: I’m the ‘4, 5, 6’ not the ‘1, 2, 3’… and very much looking forward to Episode VII. It’s very exciting. EE: I guess I’ll just jump the gun and ask this question! When Episode VII, VIII, IX come out is there a possibility of another scene(s) added to the ride? EE: But the thought has crossed your mind! Kathy: Oh, absolutely. 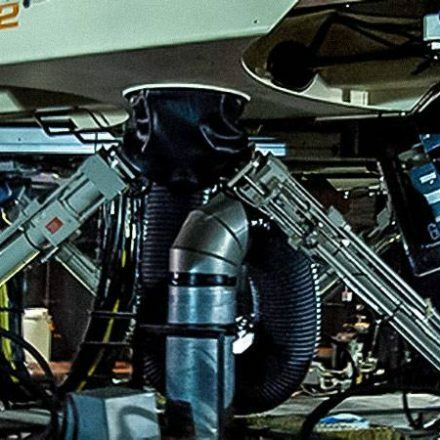 If you go back to the original Star Tours, Tom Fitzgerald said twenty-five years ago with the simulator technology, our goal was to bring in a new story to Star Tours every few years. It took us more than that to get there, but the digital technology and the new stories definitely give us the opportunity to continue to keep Star Tours a fresh experience for our guests. 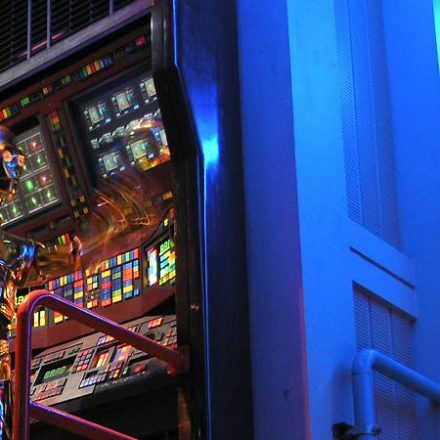 EE: Any memorable experiences working on Star Tours? 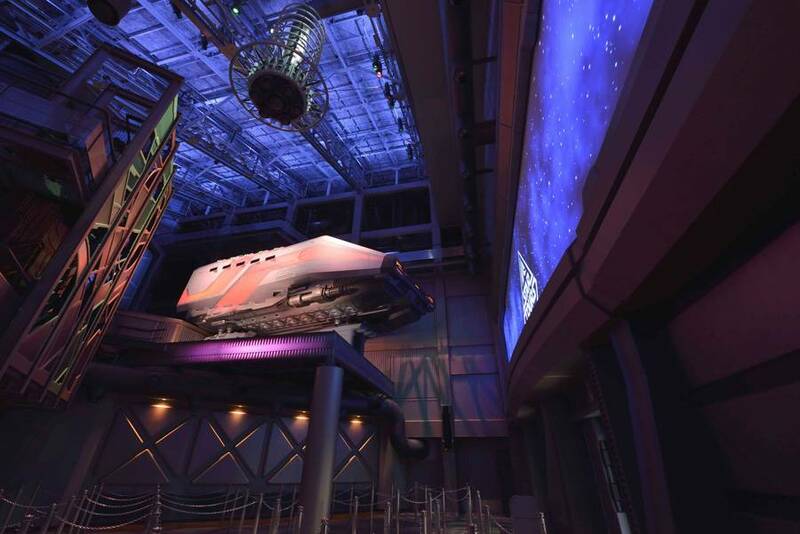 Kathy: I think the thing that’s really memorable is for the Star Tours attraction in the Arrival Hall. That was really a challenge for us as you think about “what is this space?”. The guest can be in this area for 35 minutes or so because it is a covered queue and because of the weather in Tokyo, it’s very warm in the Summer and very cool in the Winter, we had to protect our guests. With the media that we created with the travel posters and lighting, we also had the opportunity to take the Star Wars music and really make it work for us. We knew that we had stories to tell and we wanted to tell you about the different airlines. We wanted to tell you about the different planets in the Star Wars galaxy. We wanted to tell you about this company, Sacul Industries that built the Starspeeder 1000. And we wanted to inform you about the Empire. So we really worked closely with Bill (William) Ross who is John Williams’ arranger and we came up with the appropriate Star Wars theme music for each of these story beats. And then Bill arranged those so that we could blend it all together. 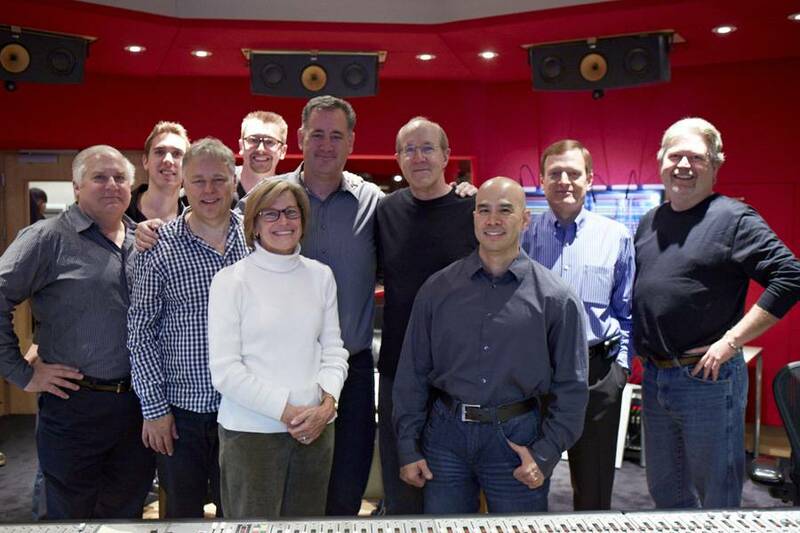 We worked with Bill and had the opportunity to go to London and recorded with the London Symphony Orchestra, which was really fun. These guys have been playing Star Wars music since the 70s and there was one individual that has played on all six films! So the music is really Star Wars. The imagery that we created, the lighting, you walk into that space and you are there. You’re in Star Wars. It was kind of like the first time I went to Star Tours at Disneyland and I was immersed in that experience. In Tokyo we took it one step further. It’s VERY fun. You could stand in that space for forty minutes and it does not feel like forty minutes. EE: We had the pleasure of spending time with Bill not too long ago and he told us that he arranged approximately forty minutes of music. Now at the Disneyland Star Tours, there’s the overflow queue area with what seems like a random assortment of music. Has there been a thought to put that music that Bill made over there? Kathy: That’s a very good idea. We haven’t discussed it, but that’s definitely one of those opportunities to take that incredible music and share it. EE: Are there any thoughts on Star Tours in Paris perhaps? Hong Kong? Shanghai? Kathy: Paris is still a possibility. We keep looking at it. And right now, with Lucasfilm becoming part of the Disney family, it’s still very early on in the relationship so we are looking at all the opportunities and how can we best use these stories and make great experiences. EE: …and not be outdated by the time they’re created. EE: So everyone has a favorite scene in Star Tours. Care to share yours? Kathy: Favorite sequence? Absolutely. 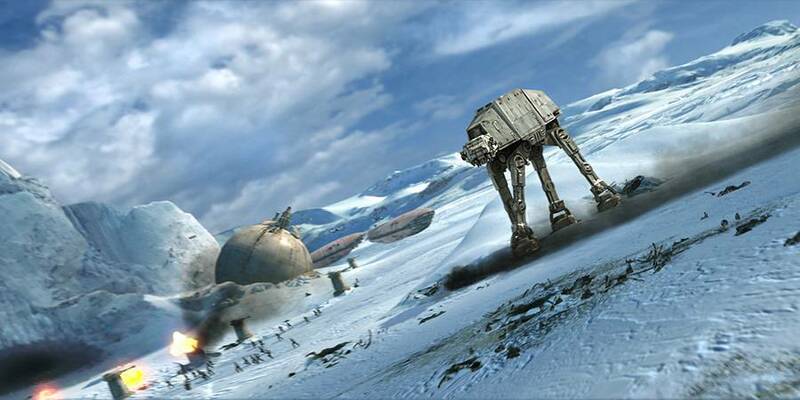 My favorite is the Stormtrooper launch, Hoth, and then Naboo. Kathy: You know, I like them all. I think they’re all great. I don’t have a favorite. And there’s fun things in every environment if you really look at it. The movements are different… and what’s really fun for me is not knowing where we’re going. EE: The unpredictability of it. Kathy: Right. Yes. I think we underestimated the value of discovering where you’re going, so that’s really fun. EE: Do you have a favorite Disneyland attraction? You’ve been local for quite some time now. Kathy: You know when I go to the park, it’s about the whole day experience. I have memorable experiences on all the attractions I’ve worked on… I had the opportunity to work with Jim Henson on Muppet*Vision 3D and that’s personal to me when I go to that attraction. I worked on Pirates of the Caribbean when Captain Jack Sparrow was brought in so meeting Johnny Depp.. that’s memorable for me. And with Star Tours, working with George Lucas and Howard Roffman and Bill Ross, John Williams… that’s really memorable to me to know that I was part of that. Star Tours is going to be around for a really long time. It’s an incredible experience and that’s what’s fun about being an Imagineer. EE: I also think what’s so great is that with many attractions, they’re saving all the animatronic characters for the ride. Here, you’re getting them all up front. It’s just a really immersive attraction from the start. Kathy: Yeah, and just looking at the history of it, Tony Baxter worked on the original Star Tours and bringing the story out of the queue was the very first time we did that in any of our attractions. EE: As a kid it blew me away! Kathy: I know, that was a big deal. Let’s start telling the story in the queue. That’s part of the experience now and I think that was fun to do. Thanks to Kathy Rogers and Frank Reifsnyder.